The setting sun was lighting up the mountains with a beautiful rose gold as Julian and I arrived in Whitehorse, Yukon, for the Available Light Film Festival—our first stop on a quick West Coast tour that would also bring us to Vancouver and Kamloops in British Colombia. In each of these cities we presented one of our in-depth Doc Ignite workshops. 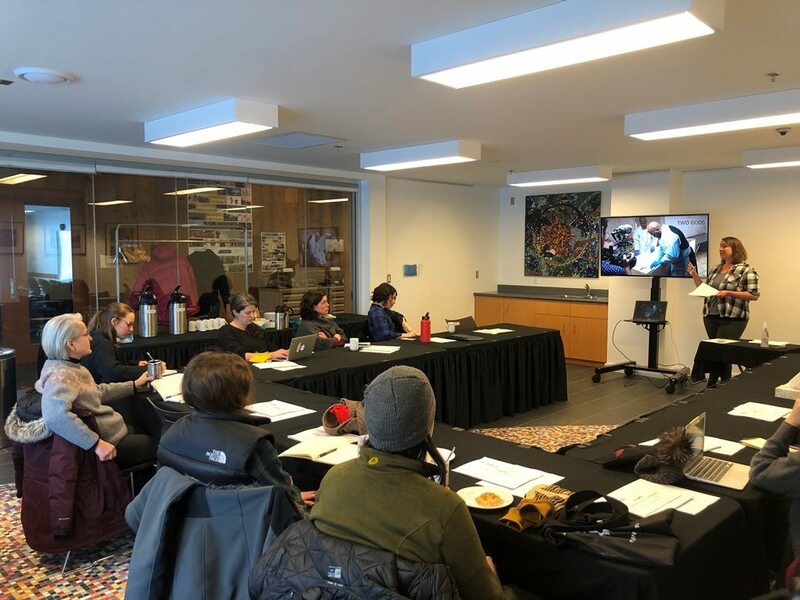 In Whitehorse, our session on Writing for Documentary coincided with the start of the Yukon Quest, a 1,000-mile international dog sled race. While the competitors headed off outside, our group of filmmakers learned how to write strong grant applications and pitch proposal documents for their documentaries. Strong writing begins with asking yourself core questions to help you better understand your story and your film. If you can’t yet answer questions like, "What is your story? ", "Why are you telling it?" and "Who is it for?" then you may not be ready to pitch yet. You need to give a strong sense of your characters, laying out what their stakes are what the expected journey they will go on is. At the pitching stage you don’t need to know where the journey will end, but you should have a sense of the questions that your film will try to answer. Make sure you indicate how your story is relevant now, even if you are following a story that has happened in the past, something about it should be relevant to today’s audiences. Julian and I had a few days at Available Light where we were able to take in some festival programming and meet attending filmmakers and industry, and -36° weather and streets shrouded by ice fog didn’t deter us from exploring the town. A highlight of our visit was the world premiere screening of Hot Docs Doc Accelerator alumna Naomi Mark’s How to Bee on opening night. We arrived in Vancouver a few days later and Julian presented Documentary Distribution 101, a new addition to the Doc Ignite curriculum. 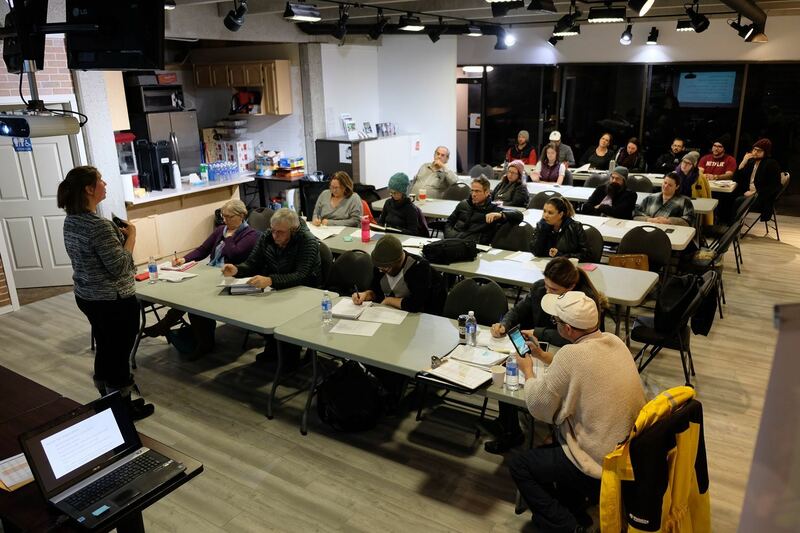 Created to help filmmakers better understand the landscapes of marketing and distribution, the workshop invited filmmakers to consider what kinds of rights are at their disposal (e.g. theatrical, streaming, broadcast), how to identify their core audiences, how to set well-defined and achievable goals, and how to match those goals to partners like sales agents, distributors, and on-demand theatrical services. 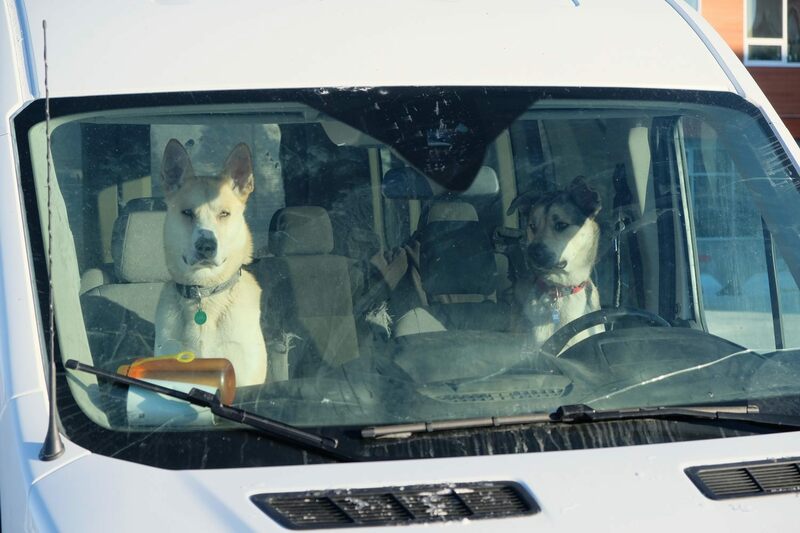 Creative approaches to distribution are increasingly important in the documentary space, and filmmakers are increasingly choosing to play a direct role in the distribution of their projects, rather than relying entirely on traditional distributors. Honing-in on a passionate and engaged niche audience will help you make most efficient use of limited marketing resources, and you’ll want to consider both the physical and virtual environments these viewers inhabit when developing a marketing strategy. Setting goals involves balancing the competing imperatives of art, impact, and money, and it’s important to prioritize these imperatives in accordance with your team members. Finally, when choosing distribution partners, it’s valuable to consider where you might be able to take a DIY approach (like setting up a theatrical tour with the help of a booking agent), and where you might want to enlist the support of a well-connected partner, such as an aggregator that can help you put your film on digital VOD platforms. Following the Vancouver workshop, our final stop was in Kamloops where we got a quick tour of Mastermind Studios (and got a picture of their Empire Strikes Back used Storm Trooper costume) before we once again presented Writing for Documentaries to a packed house.